Elk Grove Food Bank Services is proud to operate a “Pet Pantry.” We distribute dog and cat food to families and individuals for their “furry” loved ones. Clients can request pet food when picking up their regular food during distribution. If available, we are happy to provide a bag of pet food to clients, free of charge. 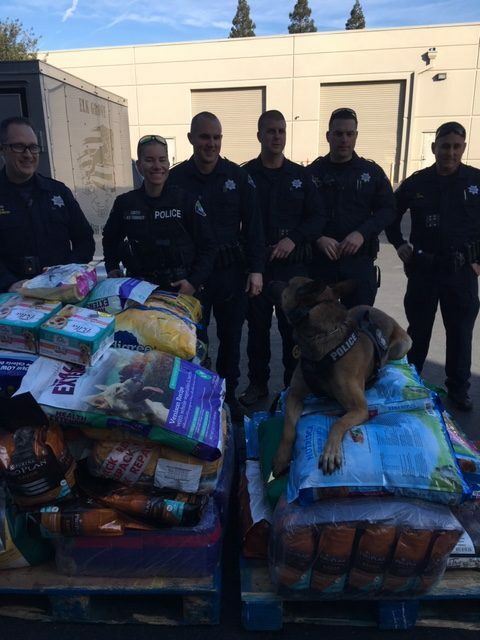 Two handsome K-9’s, Rocky and Gunner, visited the Food Bank along with an amazing group of Elk Grove Police K9 Association officers. 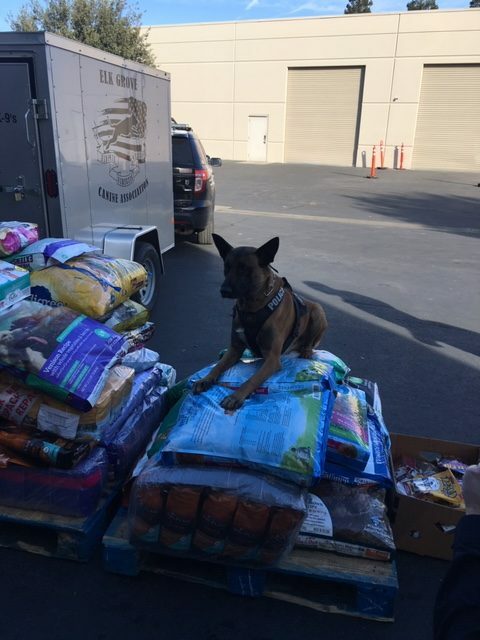 They brought with them a generous donation of 1,200 pounds of pet food from an anonymous donor.